Left to right: Jaymi Chernoff, Program Director, Cardiac Services KGH; Trustees of Slovenian Society of Okanagan: Antonia Markon, Olga Row, Ignac Konte, Martin Sernek, Milena Yantol. Left to right: Trustees of Slovenian Society of Okanagan: Milena Yantol, Treasurer, Ignac Konte, President, Martin Sernek, Olga Row, Antonia Markon. The Slovenian Society of Okanagan is celebrating its 35th anniversary and has generously chosen to donate the balance of society funds to a cause that is, literally, close to their hearts. 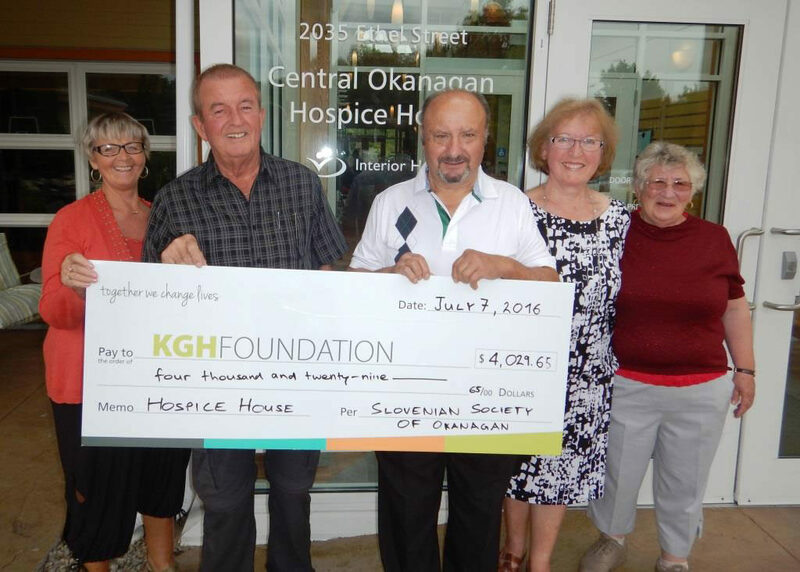 Founding President and now Trustee of the Society, Ignac Konte, presented cheques for $14,029.65 to the KGH Foundation. 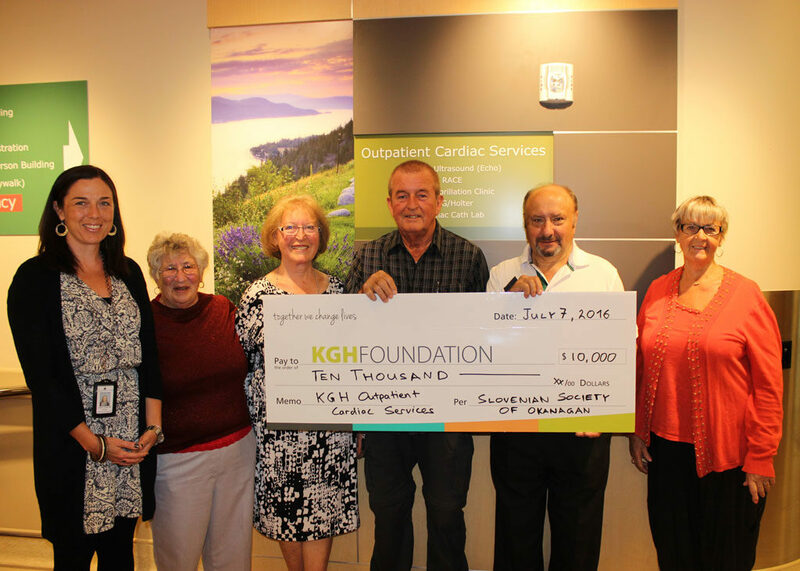 The sum includes $10,000 dedicated to funding Outpatient Cardiac Services at Kelowna General Hospital, specifically the purchase of an ECG cart, with the balance to support the Central Okanagan Hospice House and the purchase of a Broda transport recliner chair. Established over thirty five years ago, the Slovenian Society has allowed Slovenians to continue to preserve and celebrate their unique heritage, language and culture while living in the Okanagan. Michele's Story VIDEO: The need for JoeAnna's House and the story of Michele and Sonny from Beaverdell, BC.